Do you love math? If the answer is in the affirmative, and you want to make sure your progeny follows in your footsteps, then watching the Count from Sesame Street in one’s early years is a pretty good start. When your kid gets to middle school, surprise him or her with the following birthday present – we’re talking about the TI-Nspire with Touchpad graphing calculator which is suitable for math and science classes. After all, this is a one time investment which is good tnough to last through college-level math, now how about that? Costing just $150, it could be one of the better purchase decisions that you make in your life. The graphing calculator will be accompanied with TI-Nspire Student Software for the home computer, enables students to have the flexibility of doing their homework at school, at home or anywhere they go. Said software allows them to view their work in more detail on a larger computer display, which is also good for the eyes in the long run since you don’t need to squint. The computer software also supports color when it comes to having vibrant views of graphs and charts. All of these come together in making learning math easier and more interactive, and thanks to a more convenient touchpad and the keypad layout, one is able to access functions easily and crunch numbers in a jiffy. TI-Nspire with Touchpad also come with instructions on how to order a TI-84 Plus keypad for free via mail. 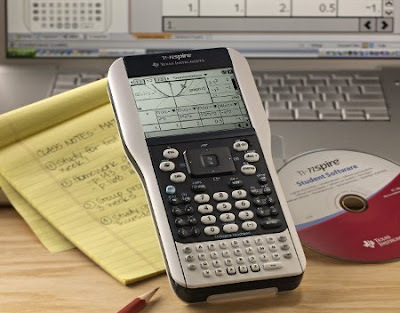 This TI-84 Plus keypad can then be interchanged with the TI-Nspire Touchpad keypad, offering students the ability to select between two calculator models without forking out additional dough. Now that’s one smart product, and you certainly don’t need a calculator to tell you how much value there is in a single purchase. Heck, it is even accompanied by access to free, downloadable test preparation questions for SAT, ACT and AP exams from Princeton Review, where it is also legit to see action on SAT, AP, ACT, IB, PSAT/NSMQT, and Praxis exams, alongside a slew of state standardized tests.